Have you ever observed a sustainability challenge at school—a lack of recycling, or school buses idling—and felt unsure of how you could help address it? Whether you are a student, parent or teacher, you know things could be done better. You might wonder, Who should I talk to about the problem? What potential impact is it having on me and others at the school? What are some greener solutions? Build your knowledge and confidence on the basics of green schools and how your school board works. Equip you with clear actions and resources to address a school sustainability issue. Help you make local school board members more aware of the importance of green schools, actions that can be taken and specific policies that could be implemented. The idea of policy advocacy can seem daunting at first, especially if you are new to it. However, if we look to examples across the country of advocates who have been successful, it is inspiring to learn that, in many cases, progress was made simply by observing a problem and starting a conversation. 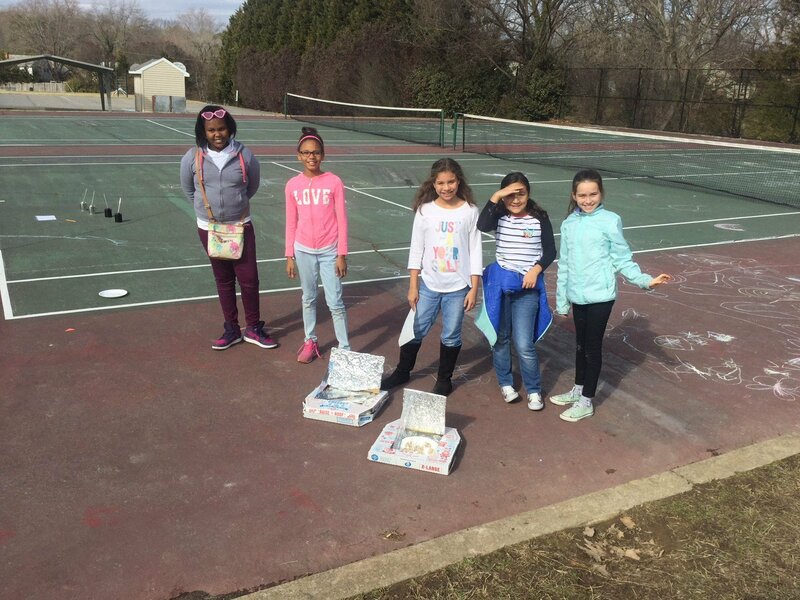 Students working on solar ovens in Richmond, Virginia. For example, in Richmond, Virginia, sustainability-minded teachers at J.B. Fisher Elementary School wanted to get solar panels installed at school. They were motivated by the educational benefits of a hands-on opportunity to teach students about solar energy and the economic benefits of lowering utility costs. They presented the idea to the principal and had a few students write letters to the school board as part of their advocacy efforts. Upon being advised that it would be more financially feasible to team up with a group of schools and pursue local grant funding, the solar initiative grew to include Blackwell and Miles Jones Elementary Schools, with eight schools ultimately joining together in 2018 to ask the school board to bring solar power to Richmond Public Schools. It is estimated that these solar panels would save the district an estimated $2.1 million in future operating costs, along with an overall decrease in greenhouse gas emissions. In these teachers’ case, beginning a conversation led to more support than they had anticipated. A dialogue can be the groundwork that builds toward wider collective support and progress in the future. This toolkit is meant to support you in however you choose to use your individual or collective power to advocate for green schools for all students, and we are here to support your efforts. Your voice, encouragement and creativity are needed to help your local schools become greener. Take a look and contact the Center for Green Schools if you want to discuss it further, or to let us know how you plan to use it.